Dedicated to improving the skills of amateur radio operators around the world, utilizing education, competition, advancement of technology and scientific research, promoting international friendship and goodwill, and preparing them to better serve society in times of communication need. World Wide Radio Operators Foundation, Inc. The World Wide Radio Operators Foundation was created in 2009 by a group of radio operators who saw a need for an independent organization devoted to the skill and art of radio operating. We believe that amateur radio contests provide a means of testing operating skill and that worldwide contest sponsors can benefit from the support we can provide. The Directors and Officers of the World Wide Radio Operators Foundation are all well-known and highly-respected radio operators. In addition, each brings a specific skill set and proven track record in his professional career to the management of the organization. 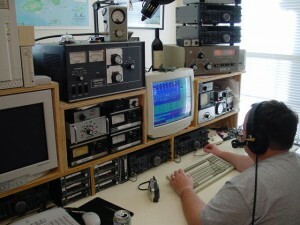 Amateur radio is a very diverse hobby. Some amateurs enjoy designing and building their own equipment. Some enjoy the thrill of chasing DX. Some simply enjoy casual conversation with other amateurs in far-off locations. Still others use their skills to provide communications in emergency situations where other forms of communication are not available. National organizations such as ARRL serve the whole spectrum of pursuits in the hobby. Some clubs and organizations, such as the Northern California DX Foundation, YASME Foundation, and mode-specific groups such as FOC and CWOps, are devoted to specific segments of the hobby. However, no organization exists that is focused on radio operating across all bands and modes. Until now, many of the elements of modern radio contest operating such as log-checking software, log-submission robots, etc., have been developed and supported by volunteers. Many of the enhancements envisioned for the future will involve considerable expense, and no organization exists to support them. The World Wide Radio Operators Foundation was created to fill that need.